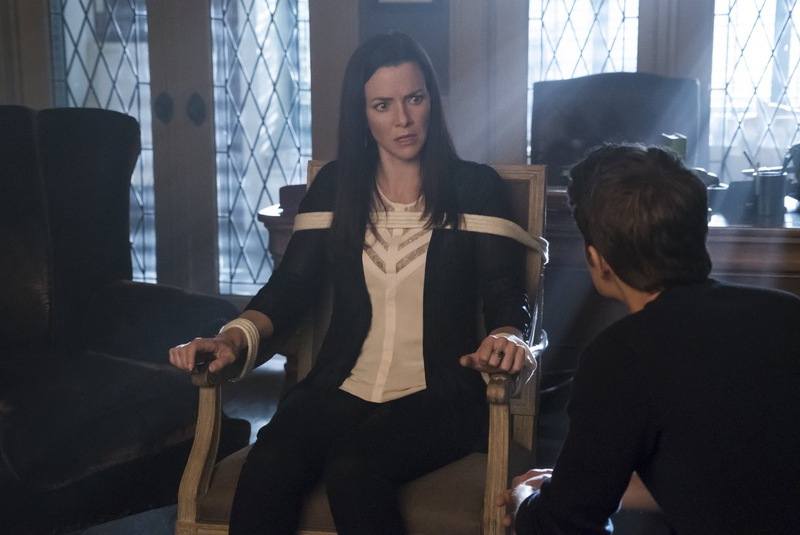 SNEAK PEEK: "The Vampire Diaries: Mommie Dearest"
"The Vampire Diaries: Mommie Dearest"
"...in order to get through to 'Lily' (Annie Wersching) about 'Julian' (Todd Lasance) and his manipulating ways, 'Stefan' (Paul Wesley) and 'Damon' (Ian Somerhalder) confront their mother with painful memories from their childhood. 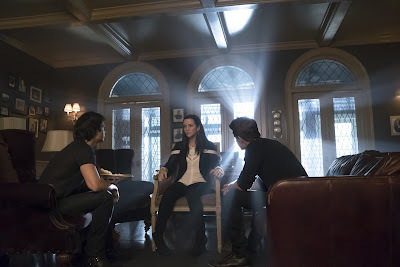 "However, when Lily reveals a dark secret she’s been harboring for over 160 years, Stefan and Damon are left questioning everything they’ve ever known about their family. Determined to prove himself to Lily, 'Enzo' (Michael Malarkey) comes face-to-face with Julian and challenges him to a duel, but an unexpected twist threatens to complicate things. 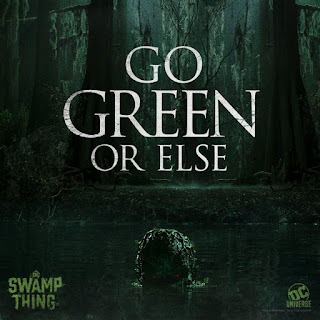 "Elsewhere, 'Matt' (Zach Roerig) finds himself in the middle of a deepening mystery involving the residents of 'Mystic Falls', while the world of 'Caroline' (Candice King) is turned upside down when 'Valerie' (Elizabeth Blackmore) reveals some life-changing news to her..."